Powdered Alcohol The New Drinking Trend. 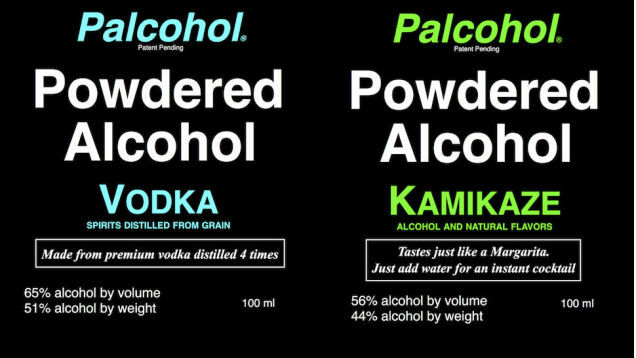 So recently Palcohol, which is a powdered alcohol product, was approved for sale in the U.S. by the Alcohol and Tobacco Tax and Trade Bureau. The company was hoping to release this product in the fall, but had their approval revoked due to a discrepancy in the fill volume, or how much powder they said was in the bag versus how much there really was. Now most people think that now this product won’t see the shelves. That may or may not be true. 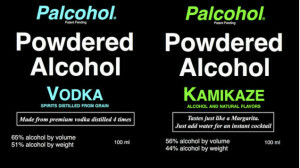 The fact is that Palcohol just has to correct their mistake and resubmit their labels to be approved. If this product does get approval again drinking could be changed forever. Having this product readily available in the marketplace would mean easier concealment of alcohol which could prove more than beneficial for the everyday drinker. For instance, really expensive drink prices at clubs and or events would be a thing of the past. You could just add some to your water and have a vodka on the rocks. This powder could also be added to food so you could get drunk eating spiked guacamole at a party or even just a little buzz while eating dinner. Honestly it sounds like it could change the world as we know it… Wait you can snort it too? Yeah that’s right. On an earlier version of their site, Palcohol stated, “Let’s talk about the elephant in the room… snorting Palcohol. Yes you can snort it. And you’ll get almost instantly drunk because the alcohol will be absorbed so quickly in your nose. Good idea? No. It will mess you up. Use Palcohol responsibly.” But I mean they said you can right? Anyways, it’s crazy to think that something like this even got approval in the first place because even though their would be amazing benefits for adults, children would also be able to have easier access and ability to hide alcohol. Even snorting it to get instantly drunk. Sounds like something a teenager would do. 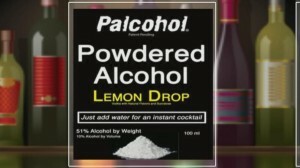 The fact that something like powdered alcohol got this close to being put on the market is making lawmakers worried. Some state legislatures are working to ban the substance entirely even before it’s been approved to sell on shelves. Minnesota state Rep. Jo Atkins introduced a new legislation on tuesday that would ban sales of powdered alcohol and a similar bill is also being pushed through Vermont. Personally I would like to try the stuff to see if it tastes anything like a real cocktail, but it seems that powdered alcohol may be killed before it was ever born.